At ProSource® of Toledo, we love watching what trade pros can do when they work with our products and benefit from our wholesale pricing! Staying within a budget can be tough in a kitchen remodel because client’s want all the bells and whistles, but we watch it happen with our affordable price points! Shop our kitchen cabinets and hardware, countertops, and kitchen sinks. If your client is doing a remodel to create a different layout and adding more space, kitchen cabinets are a wonderful way to easily add storage. 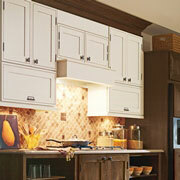 Choose from different sizes, styles, and colors to refresh and create stunning, updated kitchen cabinets. 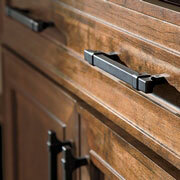 Kitchen cabinets would incomplete without cabinet hardware! Make any cabinets look better by substituting new hardware. As long as your client follows the guideline of usability, help make them as fun and unique as the client wants. Find uncommon and niche cabinet hardware in our kitchen collection. If your client is looking for a countertop that strays from traditional granite, have them swing by our Toledo showroom to see up close and personal leather and suede finished countertops! 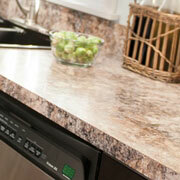 If they’re into more of a standard look, quartz or mixed-material tops may be another great option. 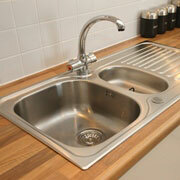 The design of a kitchen sink is just as important as the aesthetics, maybe even more so! After all, you’re doing food prep and washing dishes in this space. If you’re client does a lot of cooking, a farmhouse sink might be a great option because they’re deep and accommodate large pans and casserole dishes. If there is limited space in the kitchen, a drainboard sink may be a better option, because it’s great in small spaces. Take a look at all the kitchen sinks available and you’ll undoubtedly find one that fits your clients’ needs! The faucet is one of the most-used pieces of the kitchen. It helps patrons wash up. It fills pots. It cleans dishes. The sink is incomplete without a faucet to accompany it. 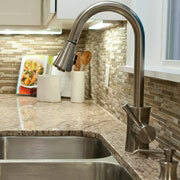 The kitchen faucet collection at ProSource is as unique as our Toledo community. We have faucets for all types of sinks, styles, and functions.